2015 was a dark, dark time for UCF and its fans. The Knights were coming off an unprecedented run of success in the team’s short history, and were looking to build off a strong 9-win campaign the year before. Fans dreamt of a team that could make it to a bowl game for the fourth straight year and maybe even three-peat as AAC champions. Instead, UCF suffered through one of the most shocking collapses in recent college football history, tumbling from the top of its conference into a pit of irrelevance that the program hadn’t experienced in years. Coach George O’Leary went from local hero to outcast at a shocking pace and the reputation that the Knights had built for themselves in the past few years evaporated into nothing as the team suffered through loss after loss. In the wake of an 0-12 season, fans were left wondering how many years it would take for UCF to get back on its feet. Would the team ever get back on its feet? Two years and one national championship later, that question has more than been answered, as the Knights have quickly transformed into one of the most exciting and talented teams in college football. Never before had a turnaround been orchestrated so quickly, and UCF fans can rest easy with the knowledge that this team is stacked with talent for at least a few more years. So, as miserable of a year as 2015 was, it’s time to acknowledge a strange truth: UCF Football’s winless season may be the best thing that has ever happened to UCF Athletics. Of course, this sounds like a delusional thing to say without looking closely at the situation and, most importantly, picturing what a number of UCF teams might look like now if that season never happened. Going into 2015, UCF Football was in a good place but was clearly declining, as more and more talent from the Fiesta Bowl team graduated and few young stars stepped up. Even if the bottom hadn’t fallen out the way it did, there’s no denying that the Knights were slowly declining back into being a middle-of-the-pack team. 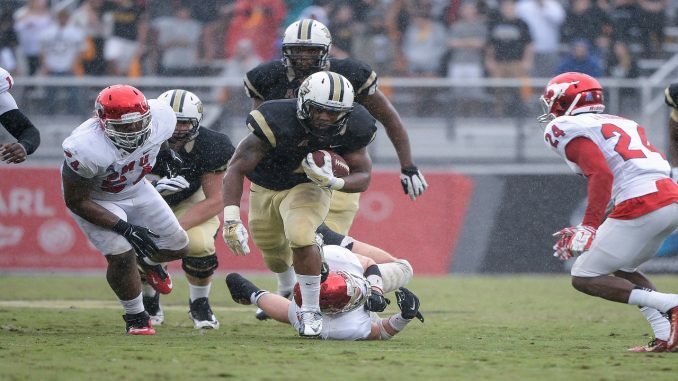 As for the rest of UCF Athletics, many programs were in shambles. Men’s basketball had proven incapable of adjusting to the level of play in the AAC and was going nowhere, women’s basketball was in the same situation and baseball was consistently falling short of the NCAA Tournament. At the time, O’Leary was serving as interim Athletic Director as well as head coach, and expectations at the time were that the ‘interim’ would soon be dropped from that title. As much as O’Leary did for football over the years, it’s very unclear if he would have had any success as an AD. So, when he was forced into early retirement as football collapsed, the school had to hire a new AD: Danny White. White never would have been offered the job if UCF hadn’t gone winless in 2015. If that doesn’t happen, little would have changed for the many ailing teams. Instead, UCF has undergone nothing short of a sports revolution in the last two years. White hired Johnny Dawkins to coach men’s basketball, a team that made it to the NIT Final Four in 2016 and is looking like a strong candidate for the NCAA Tournament next year. He also hired Katie Abrahamson-Henderson to coach the women’s basketball team, which quickly turned into a force in the AAC and has made it to back-to-back NIT’s. He hired Greg Lovelady to take over baseball, which is currently looking to qualify for its second regional in a row. And, of course, he hired Scott Frost, who helped rebuild a broken program into an undefeated juggernaut that could hang with any team in the nation. Yes, the 2015 season was a dark time, and fans won’t be forgetting the pains of that year anytime soon. But without those losses, if football hadn’t fallen apart, UCF Athletics would likely still be only dreaming of the type of success that its teams are having today.